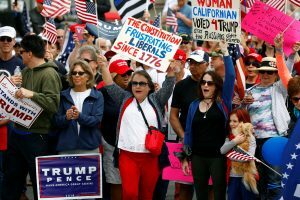 HUNTINGTON BEACH, Calif. — A scuffle broke out on a Southern California beach where supporters of President Donald Trump were marching when counter-protesters doused organizers with pepper spray, authorities said Saturday. The violence erupted when the march of about 2,000 people at Bolsa Chica State Beach reached a group of about 30 counter-protesters, some of whom began spraying the irritant, said Capt. Kevin Pearsall of the California State Parks Police. Three people were arrested on suspicion of illegal use of pepper spray and a fourth person was arrested on suspicion of assault and battery, he said. Two people suffered minor injuries that didn’t require medical attention, Pearsall said. An anti-Trump protester who allegedly used the eye irritant was kicked and punched in the sand by a group of Trump supporters, the Los Angeles Times reported. 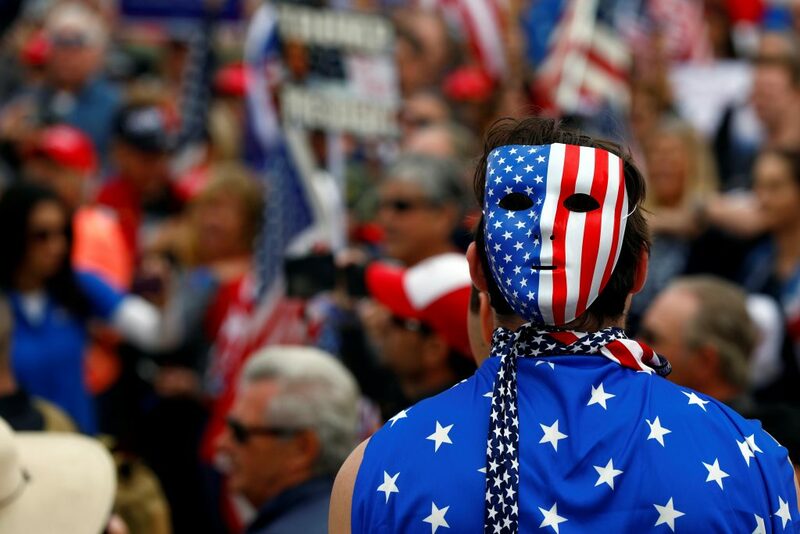 Earlier this month, a rally in Berkeley, California, in support of Trump turned violent, and his supporters clashed with counter-protesters in several fights that led to the arrest of 10 people and left at least seven people injured.